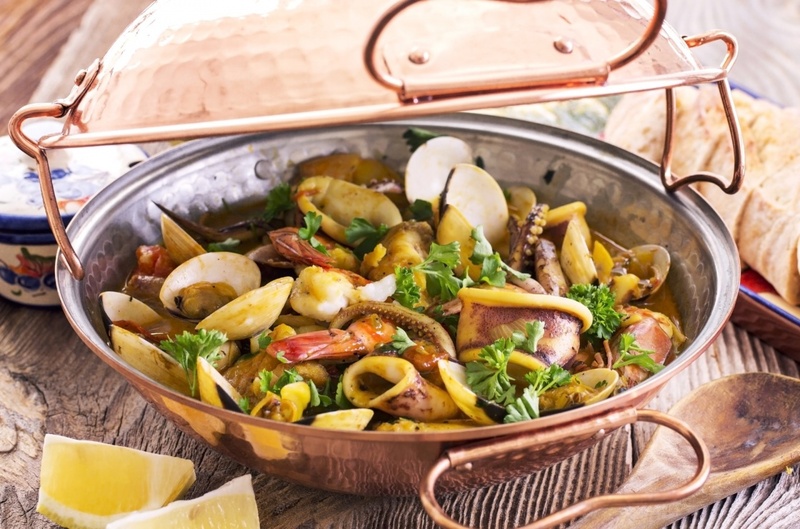 Food & Gastronomy of Algarve: What and where to eat in Algarve. 'Pastelaria' is a Portuguese word and can be translated to 'pastry shop' in English. Look out for these when in the Algarve; there's usually one on every street, but are sadly often accidentally neglected by the swarm of tourists who are out to eat home comforts and home comforts only, when instead they can be sampling delicious snacks and treats in a pastelaria, at under a Euro! 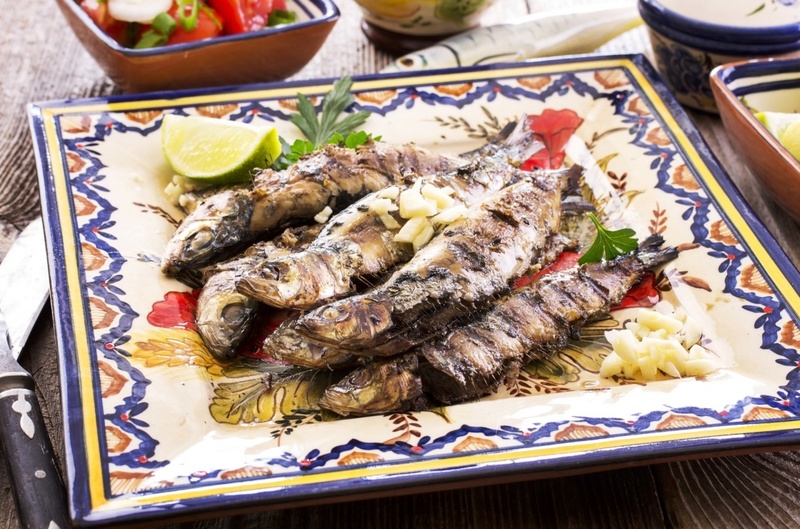 One food you must try is ‘salgados’, which can be translated into ‘savouries’ and are small, hearty snacks made up of fish, meat or seafood in a crisp, golden-brown batter. Another savoury treat you simply cannot leave the country without trying is a Bifana. This is a typical Portuguese specialty, and all it is (wait for it) is a pork sandwich. BUT it’s not just any old pork sandwich; it’s a pork sandwich made with only the best light, fluffy, Portuguese bread and is filled with thin slices of pork coated in a mouth-watering special sauce with its own unique taste. 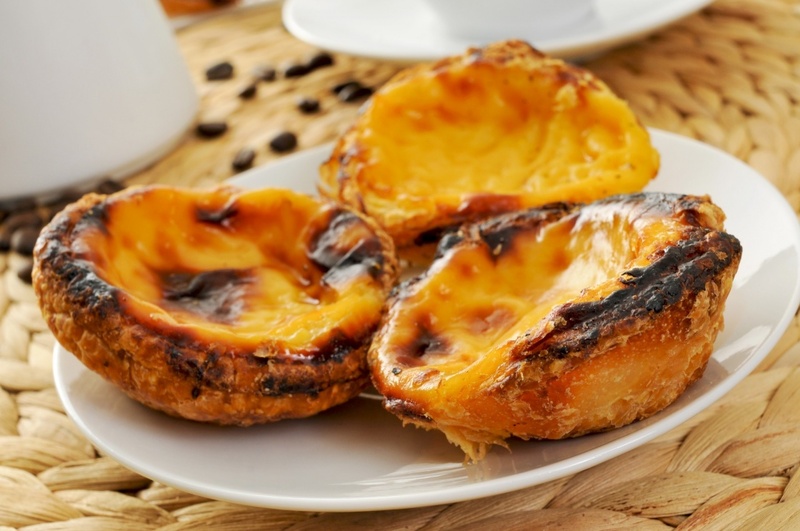 If you’d prefer a sweet treat whilst stopping by at a Pastelaria, try a Pastel de Nata. To the Portuguese, this is what a Cherry Bakewell is to the Brits. Traditional, well-known and downright delicious. A Pastel de Nata is simply an egg tart pastry and is crispy on the outside, soft on the inside. Here’s a little tip – try your Pastel de Nata sprinkled with touch of cinnamon. Most restaurants around the region display their menu outdoors, so that both tourists and locals can look at which cuisine is available and for how much, before they choose whether or not to eat there. 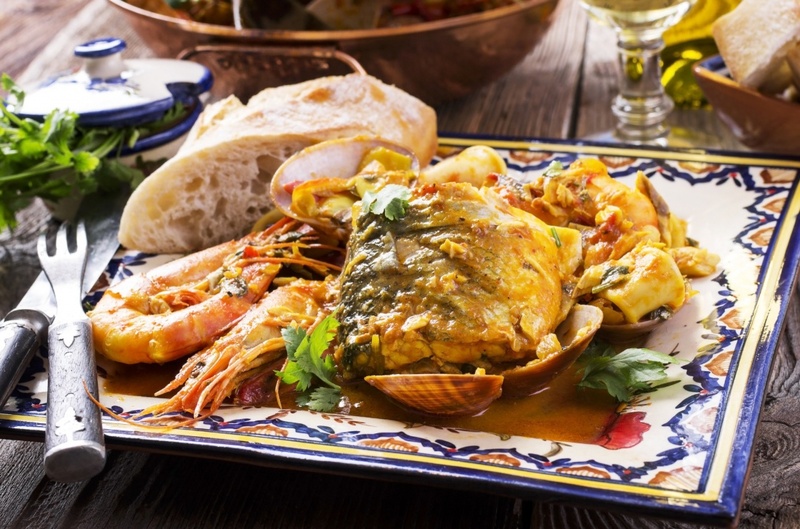 The Algarve consists of restaurants providing many international cuisines; British, Mexican, Japanese, Chinese, Italian, Spanish… take your pick! There is certainly something for everyone. Another great aspect about eating out here is that a table for two typically only pays around 40 Euros for an evening meal, often even less if it’s traditional Portuguese cuisine that you’re looking for. If you’re on a tight budget, look out for these traditional restaurants whether it’s for lunch or dinner – the outdoor menus will help you to understand what is available and whether or not it’s local cuisine, which, most of the time, it will be. Sometimes a typical Portuguese meal including a starter of couvert (bread, olives, sardine pate and butter), a main course of your choice and an Expresso (a Portuguese coffee) at the end of your meal, can set you back less than 10 Euros. Cheap as chips! If you’re a fish-lover, keep your eyes peeled for restaurants with the name ‘Casa do Peixe’, which means ‘Fish House’ in English. The Algarve is full of them, with fresh fish being delivered daily. Most Portuguese fish restaurants display the different options in a glass counter, so that you can go up to the counter and select what you would like. Sea-bass, cuttlefish (with or without the ink – you get to choose) and swordfish are all common choices. These are usually served with rice, a side salad and yummy potatoes fried in garlic and olive oil. On the other hand, if you’re not too keen on fish, don’t worry – the majority of fish houses have meat options available, too. Try ‘Bitoque’, which is a mouth-watering pork or beef steak topped with a fried egg and rice, chips and a side salad. And another thing - be sure to order a Sangria with your meal at least once! 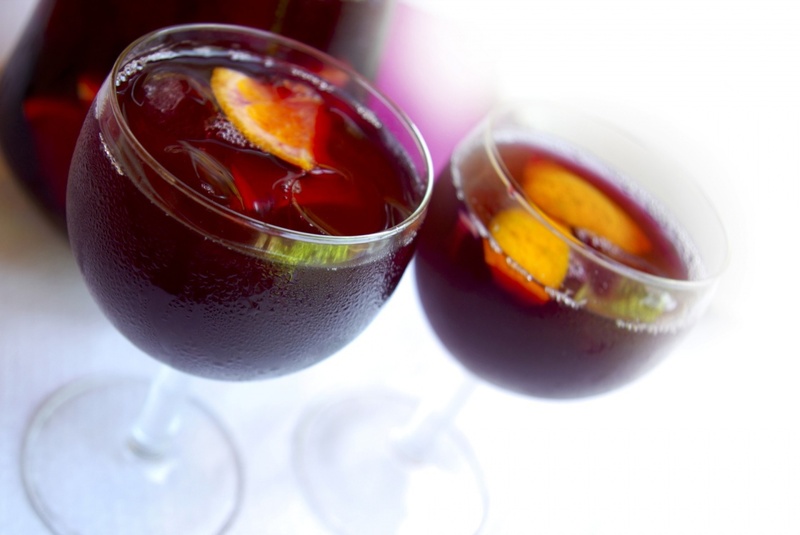 The Portuguese are known for their delicious sangrias, and how they are made is taken very seriously. You'll usually have the choice of white, rose, red or in some places, champagne sangria. Most jugs cost around 10-15 Euros and each restaurant or bar has their own original method of making it. Word of advice - the best sangrias contain mint, cinnamon sticks and a splash of beer at the top of the jug, to create the frothy foam.